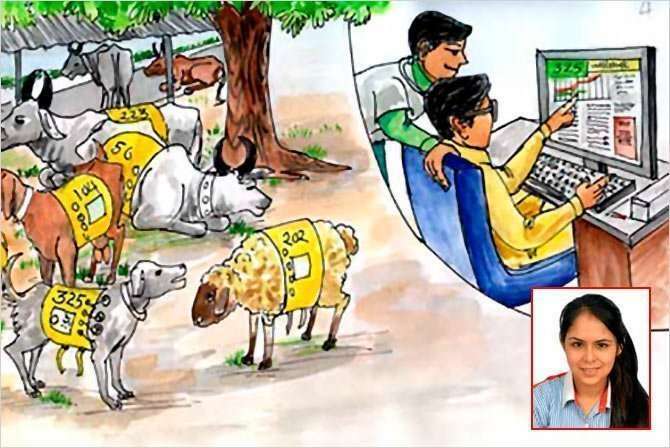 31 amazing innovations from young Indians - Robolab Technologies Pvt. Ltd. The National Innovation Foundation India (NIF), Ahmedabad shared the ideas that shined at the IGNITE 2015. Every year, the National Innovation Foundation India (NIF), Ahmedabad invites students from across schools in the country to share their innovative ideas on how to build a better world. 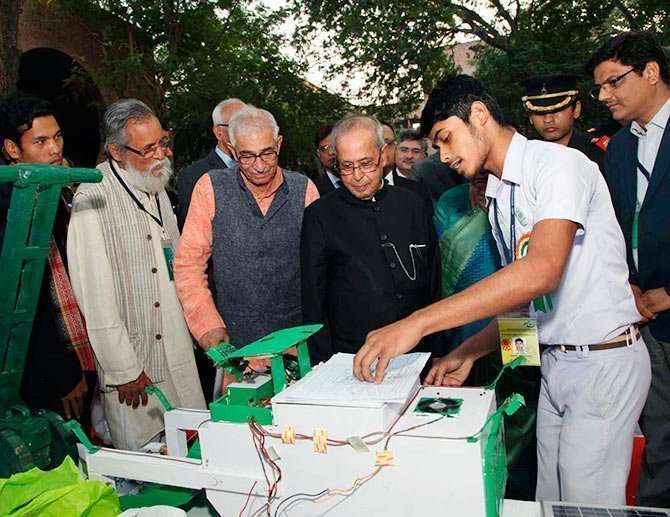 The competition is organised by NIF in association with Central Board of Secondary Education (CBSE), Society for Research and Initiatives in Sustainable Technologies and Institutions (SRISTI), various State Education Boards and other partners. 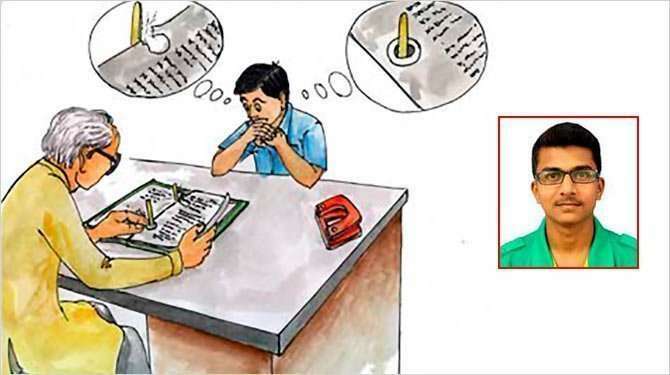 Students in (up to class 12) or out of the school (up to the age of 17 years) can participate in the IGNITE competition by sending their original technological ideas to solve any problem in day to day life or real life technological innovations demonstrating innovative ways of solving problems/ reducing drudgery/generating efficiency/ conserving resources etc. More than 28,000 entries were received this year of which 31 best ideas made the cut. 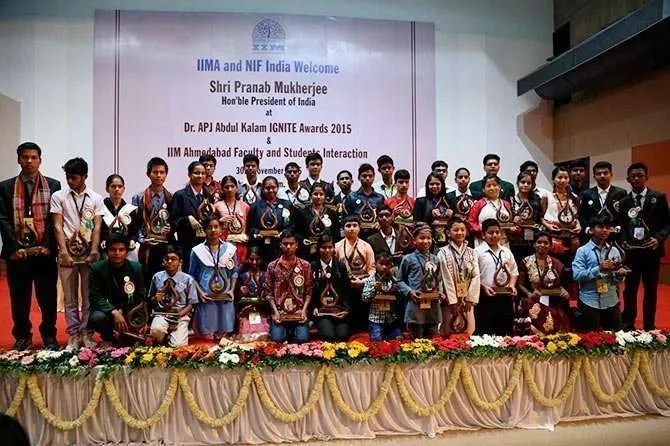 This year the ‘Dr APJ Abdul Kalam IGNITE Awards 2015’ were given by the President of India, Pranab Mukherjee at the Indian Institute of Management, Ahmedabad in the presence of state chief minister Anandiben Patel. Among the other dignitaries who graced the occasion include governor of Gujarat, Shri OP Kohli; prof Ashutosh Sharma, secretary, Department of Science & Technology, Government of India; Prof Ashish Nanda, director, IIM-A; Dr RA Mashelkar, chairperson, NIF and Prof Anil Gupta, executive vice chairperson, NIF. Presenting the ideas that impressed the jury. Take a look! Inspiration behind the idea: Most people today prefer to use a water filter/purifier at their home. 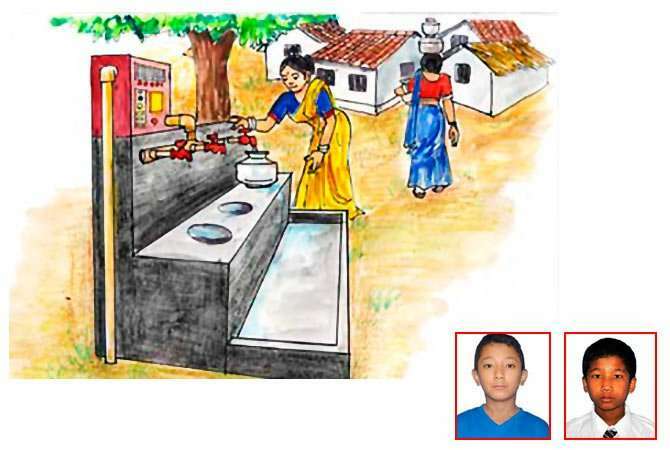 Both the children have given idea to have filter/purifier at the source of water so that everyone has access to clean water without having to make an investment in purchasing a filter/purifier. Soring’s idea is to have a centralised purification system at the point of distribution like water tank while Subash’s idea is to have such purifiers attached to public taps. Inspiration behind the idea: Generally shoulder arm slings are used to provide support to a fractured hand. Using this for a long time sometimes give discomfort to the neck/ shoulder region. 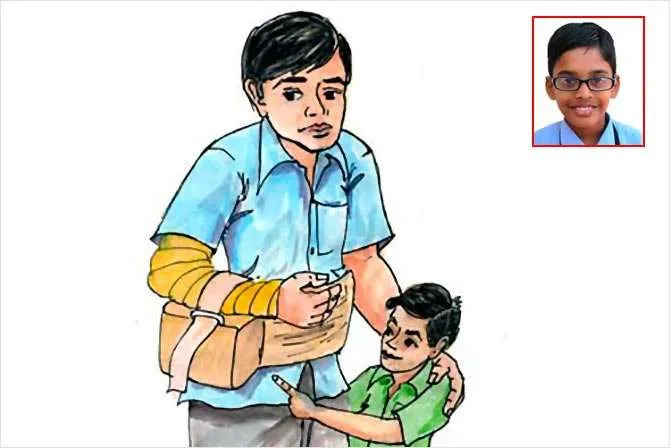 Adi’s idea is to have a waist worn appendage, which can provide support to a fractured hand instead of the sling. The fractured arm would be rested comfortably on the appendage and kept in position by straps. Inspiration behind the idea: Many times, it becomes difficult for more than one person to share an umbrella during rains. 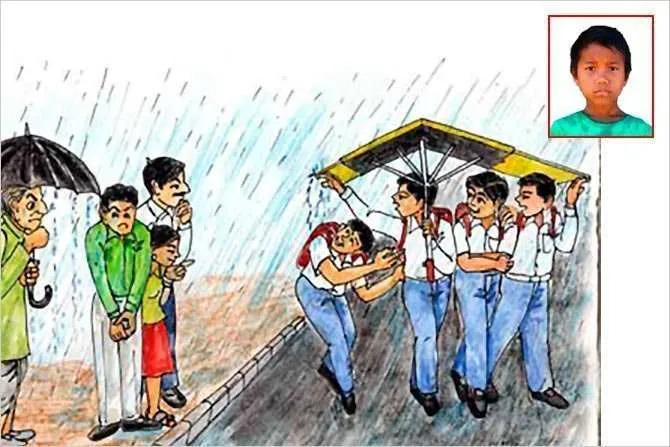 Young Tunnab has given an idea of an umbrella, which could be held by two children from two sides under which other children can stand and thus go to school together without getting wet. Sometimes accidents occur when a passenger puts his body part outside the bus window. 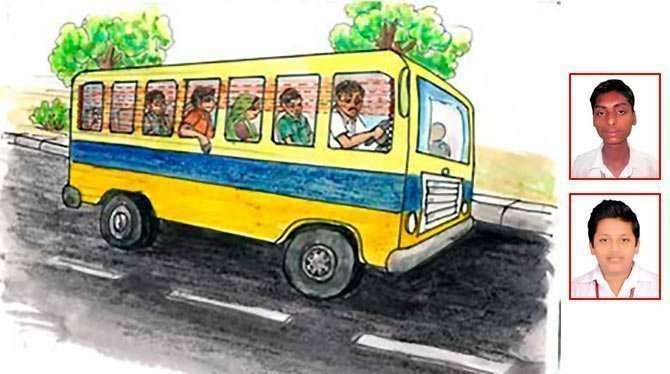 Pradyumna and Rahul have independently conceived an idea of an alerting system for the bus driver, which enables them to know which passenger has put his hand or head outside the bus window. 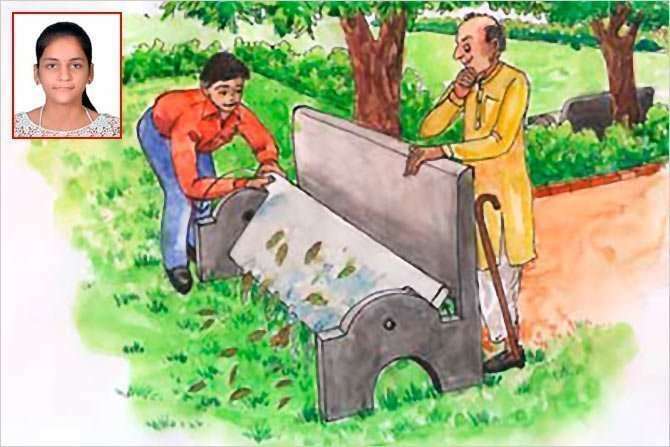 Simran’s idea is to have reversible benches at public places so that if they become wet (due to rains) or dirty, they can be rotated using a handle so that the other side, which comes up can be used. 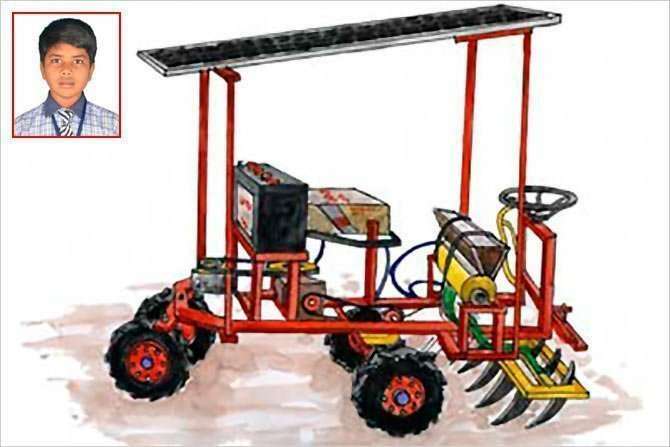 Subash has developed a solar powered seed drill, which can undertake plantation for different size of seeds at variable depth and space between two seeds. The two sisters have come up with loom for lower limbed physically challenged. 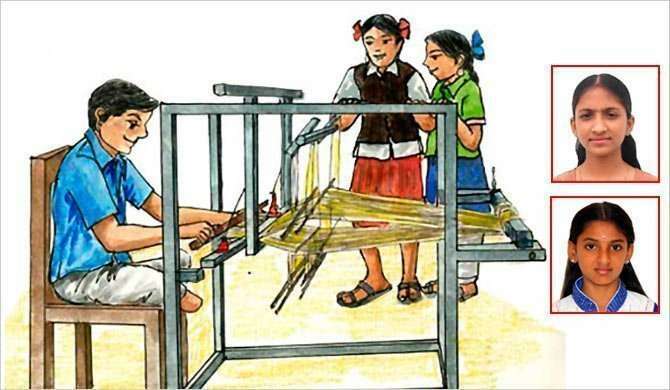 In their loom they have replaced the pedal operated system with a motor and a gearbox attached to a pulley mechanism. Mahua flowers have many medicinal properties and are also used to make pickles, jams, and now ice creams as well. 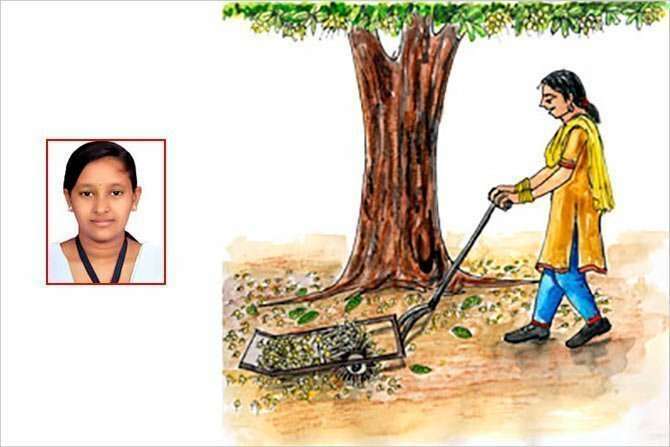 Lipsa has suggested a manual device like a lawn mover, which can collect Mahua flowers, which are otherwise picked up by hands, which is a time consuming and tiring process. It happens many a times that while cleaning food grains for cooking, some impurities remain, which get cooked with the food. 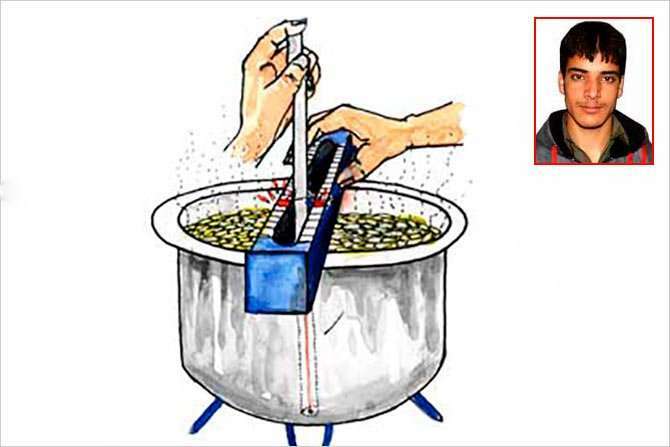 Tawseef suggests having a vessel with sensors, which can indicate the presence of pebbles or other similar impurities in rice or other food grains being cooked. 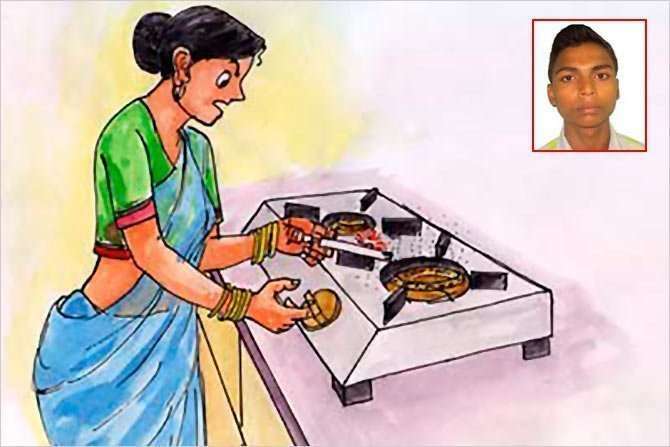 A lot of mishaps occur when cooking gas regulator has been left on accidentally or due to a gas leak. 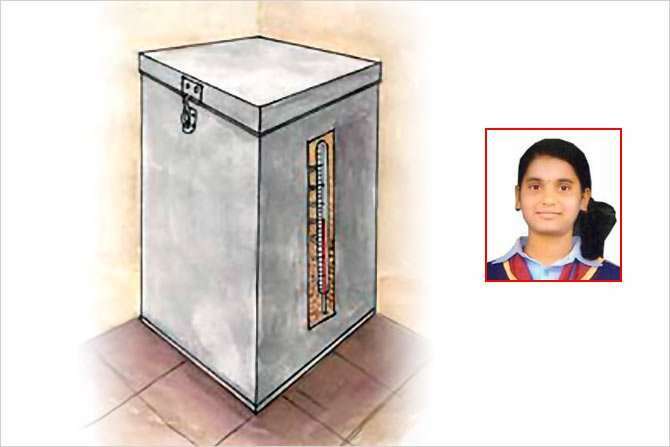 Nilesh’s idea is to have a gas lighter, which can sense and indicate gas leakage before it is lighted thereby preventing accidents. 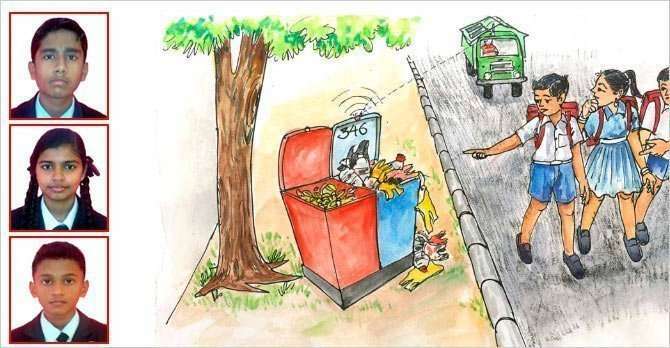 Concerned with the sight of overflowing garbage bins, the three friends have come with an idea of a dustbin with separate slots for bio-degradable and non bio-degradable waste with a message sending facility to the municipality once dustbin is filled up to a preset level. For lac extraction generally the lac coated branches of host trees are cut, crushed and sieved to remove impurities. 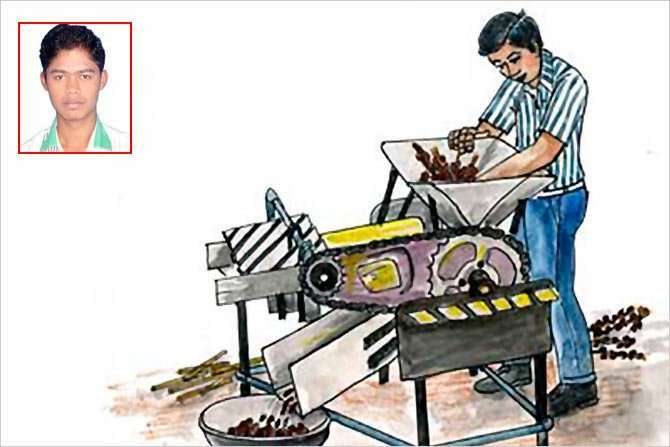 Saurabh has made a machine, which can remove lac from the branches without breaking them. As a result, the amount of impurities is lesser in lac and it takes lesser effort to clean it. 13. Pay as you weigh! 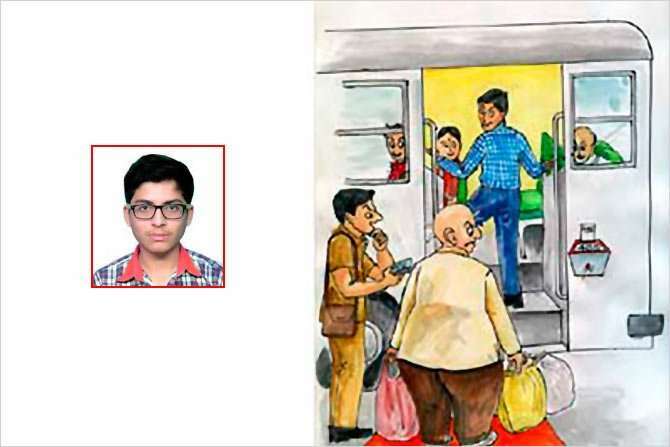 An idea of an automatic ticketing system where fare is calculated as per the weight of the passenger and his luggage. 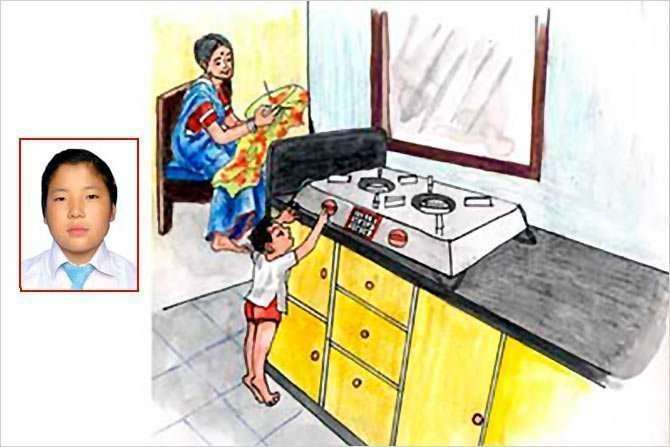 An idea to have a manual or digital pass code system for gas stoves to avoid accidents involving children. 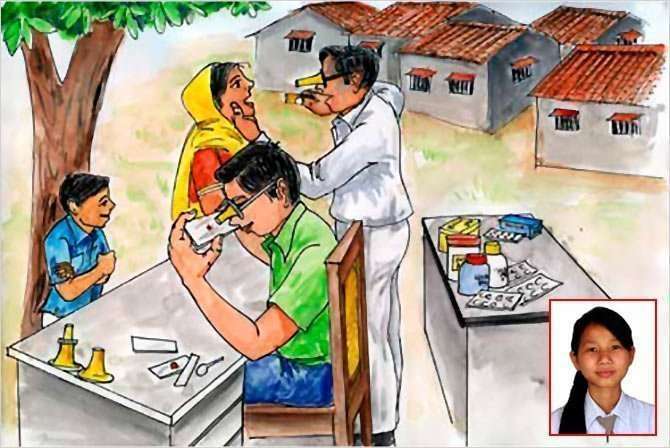 An idea to have wearable microscope like a spectacle so that it becomes easy to store, carry and use. 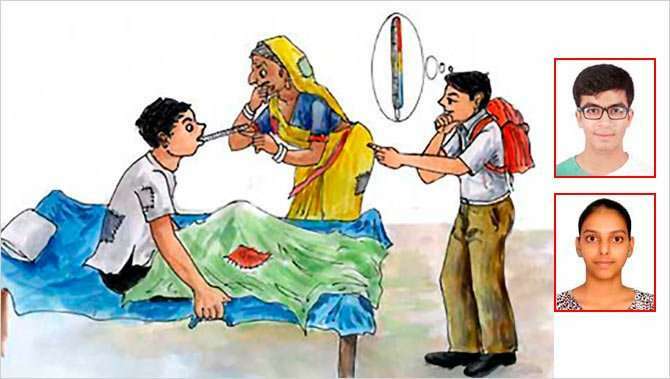 An idea to have a colour coding scheme in thermometers to indicate fever level. It shows red for emergency, orange for intermediate temperature and green for normal. 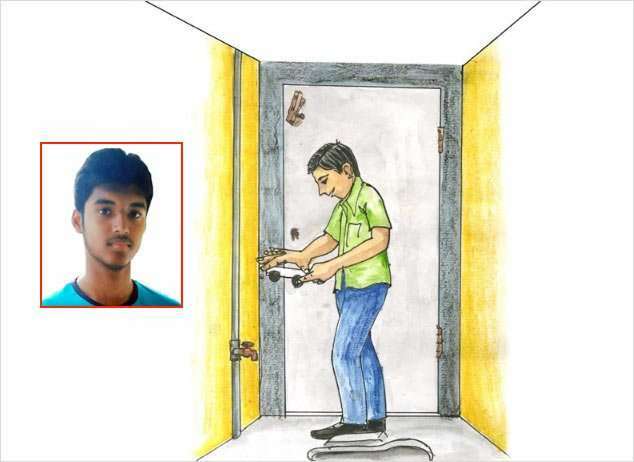 It also gives out precautionary measures and even dials an ambulance in case of an emergency! Collecting Tendu leaves is one of the important sources of income in the tribal regions. The leaves are plucked manually, which is a tedious process. 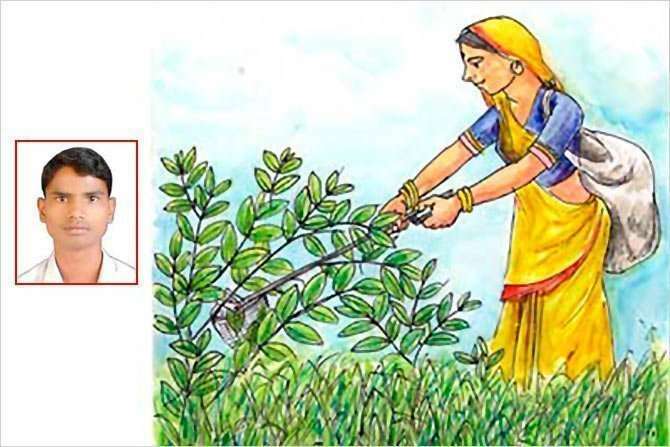 Bharat’s idea is to have a machine to pluck Tendu leaves from the tree. It would have blades for cutting the leaves, a container to store leaves and a sensor based sorter to segregate leaves according to their size. 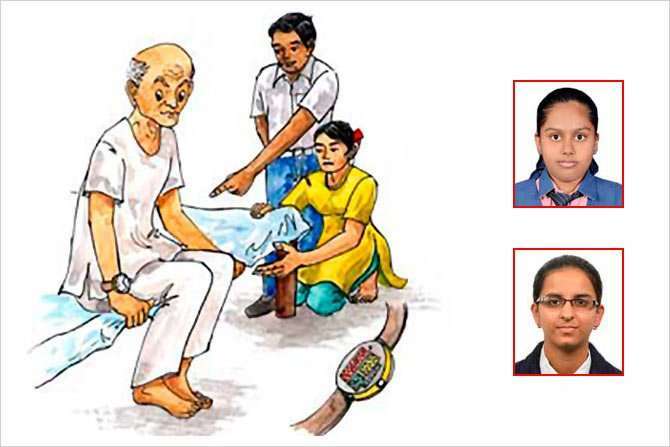 An idea of a watch, which can store and timely deliver appropriate dose of medicine to the person. 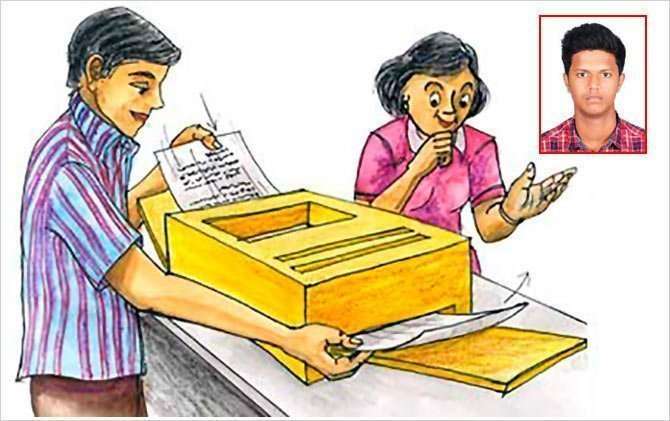 An idea of printer like device, which can erase all data on a printed page fed to it making it plain and hence reusable. 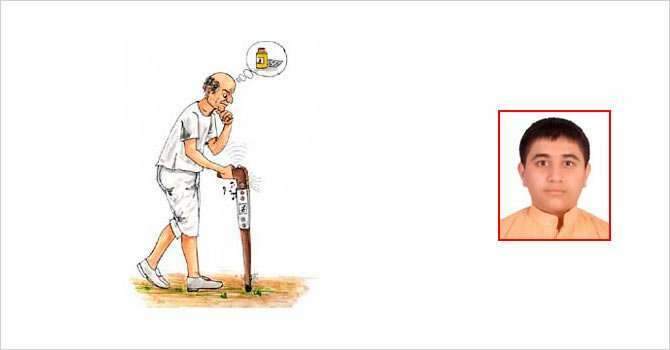 A walking stick for the elderly and the visually challenged with many features like counting of steps, medicine reminder, locator, emergency alarm, fall detector and automatic torch, etc. 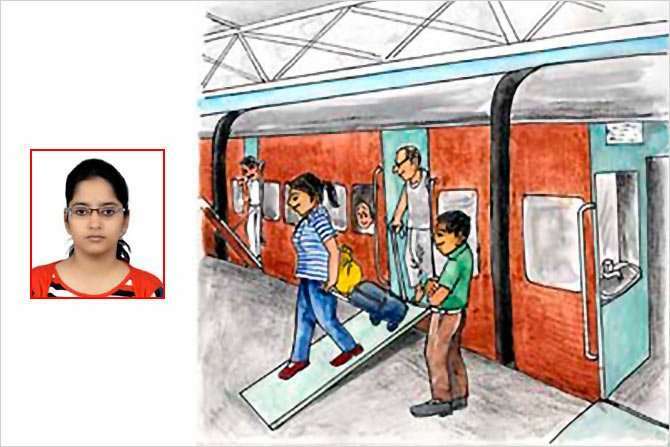 An idea to have a drawbridge door for trains, which when opened at the railway platforms, acts like a ramp, making it easy for people to carry their luggage inside the train bogie. 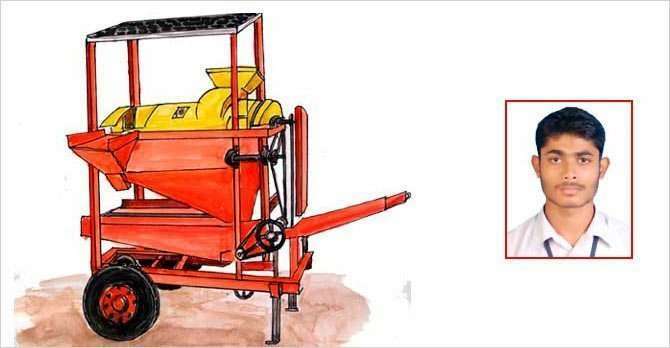 A device for efficient threshing of matured pulses (grains, green gram, black gram, arhar, horse gram) without using electricity or fossil fuels, thereby reducing the harvesting cost. Neha suggests having paper like litmus paper, which can change its colour depending upon the level of naturally occurring sugar in a fruit thereby helping distinguish between artificially and naturally ripened fruits. An app, which records the respiratory rate, temperature, pulse rate, heart beat rate of animals, through sensors attached to their bodies. The program also performs an analysis of the co-dependency of these parameters to each other and prompts for a stressful condition, if parameters vary beyond a range. 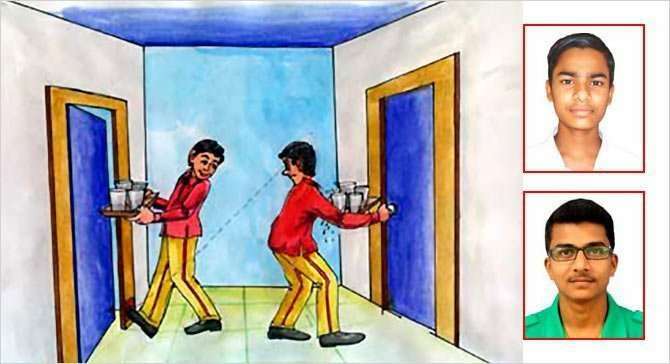 An idea to have a system using which a door can be opened by activating a sensor using a leg. This may be useful for the physically disabled or someone carrying load in both hands. It can also be used in public toilets. An idea to have a punching machine with a hole reinforcement mechanism so that the punched holes last longer and do not tear off from inside. 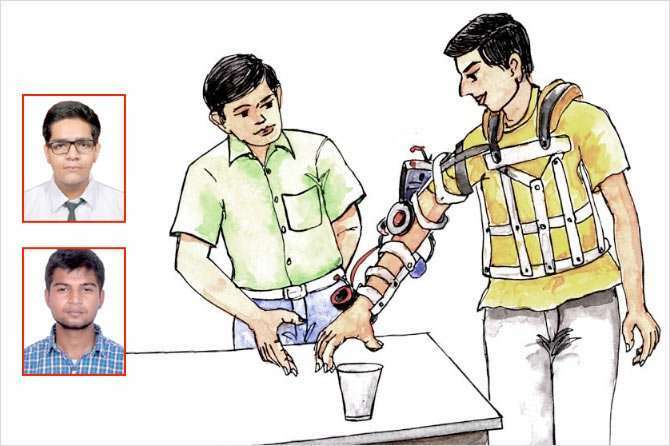 An mechanical exoskeleton or suit, which can support a physically disabled person, and aid orthopedic patients. 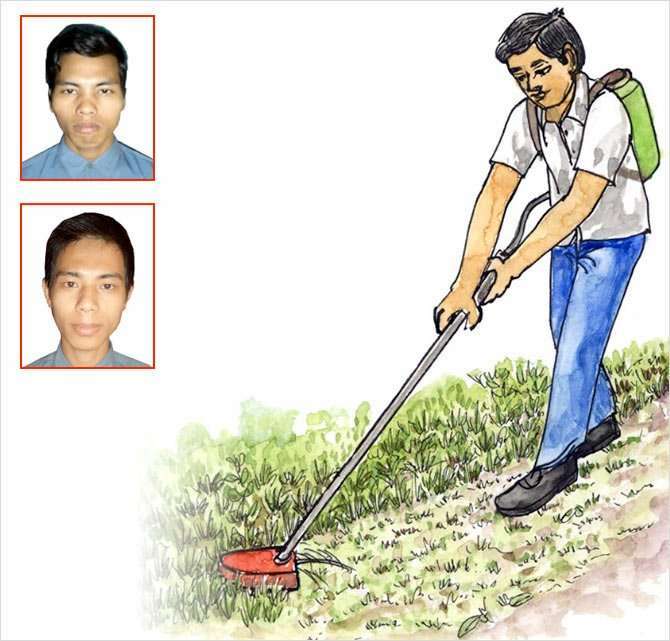 A hand held cutting machine for cutting grass and leaves. An idea of a latch useful for people travelling frequently or in rural areas, which can be used for locking a door temporarily. This can be used in public restrooms or other places that lack latches. 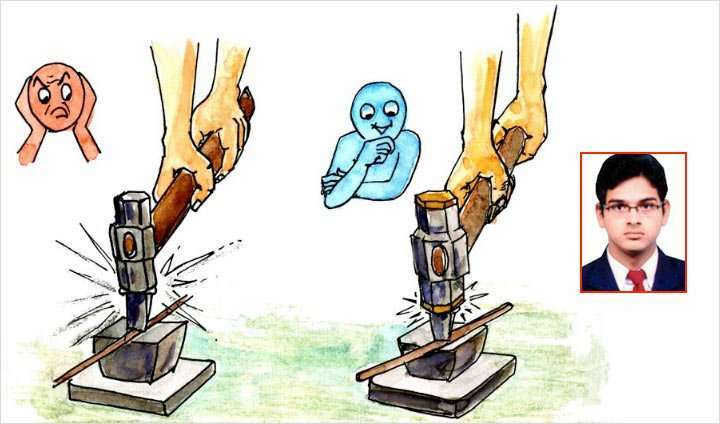 An idea of a soundproof hammer, which would not make any sound when struck against any object. The impact energy would be absorbed in the hammer itself, which will be covered with a foam like substance.